We engaged in manufacturing and exporting of wide range of Telecom Test Equipment. 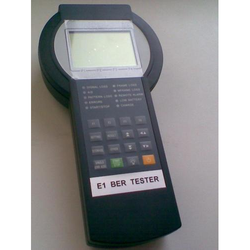 E1 BER Tester is a much small and multifunctional handheld E1 line test instrument, specially designed for E1 PCM line access, maintenance, check and acceptance.It provides BER test, alarm analysis, signaling analysis and so on which can be extensively used in R & D, production, installation and maintenance of SDH, PDH, PCM, Data Protocol Converter. It is a useful tool for faster problem resolution. We are offering JDSU HST 3000 with Gigabit Ethernet SIM 1G to our clients. The growth of converged services has changed the landscape of the telecommu-nications industry, creating new opportunities and posing new challenges. A needexists to deploy complex, new services to meet the demand for the triple play ofvoice, video, and data, coupled with the challenge to improve customer serviceand reduce operating expenses. The right set of tools to do the job quickly andeffectively is needed to successfully navigate this dynamic new world. 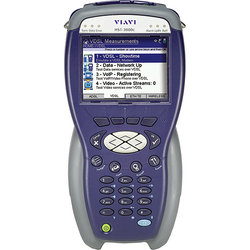 The JDSU HST-3000 Handheld Services Tester is designed with all of this inmind. The modular platform provides maximum flexibility through softwareoptions and field-swappable service interface modules (SIMs) for copper- andfiber-based multi-service testing. As the role of the technician moves beyond thephysical layer to testing services and applications, the lightweight, rugged, andbattery-operated HST-3000 smoothly supports changing test needs. Conduct advanced tests for the installation and maintenance of DSL and PON-basedTriple-Play. Turn-up and troubleshoot IPTV services that carry video programcontent over access networks, including support for all video QoS measurements. 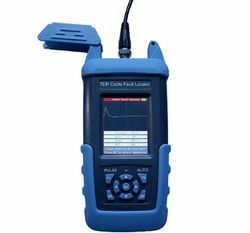 Perform copper testing including digital volt-ohm meter (DVOM), time divisionreflectometry, wideband transmission impairment measurement set (TIMS),spectral noise,and resistive fault locator (RFL). WideBand II test capabilities allowfor copper troubleshooting and line qualifications testing up to 30 MHz for VDSLservices. VDSL1 uses a frequency band from approximately 25 kHz to 12 MHz.VDSL2 extends the range up to 30 MHz. Verify the circuit and service with modem emulation and replacement for ADSL,ADSL2, ADSL2+, Global.Standard High-Bit-Rate DSL (G.SHDSL), and VDSL2. (BRI), ISDN Primary Rate Access (PRA) for European Telecom-munications Standards Institute (ETSI), and Datacom. Turn up and troubleshootglobal business-class data services: GigE, Ethernet, E1, ISDN basic rate access (BRA), G.SHDSL, and Datacom. 1. 2.5mm universal connector fitted with suitable for all 1. 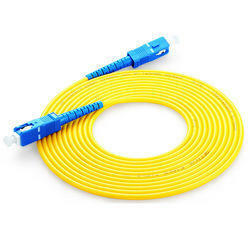 2.5mm optical connector. (Support FC / SC / ST connectors). 2. Low power consumption, continuous working time more than 48 hours. 3. Linear optical power and logarithmic power display. 4. Relative value measurement function. 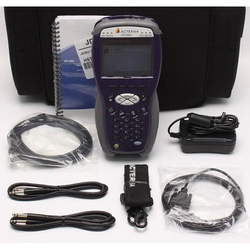 We are offering JDSU Bert Tester to our clients. 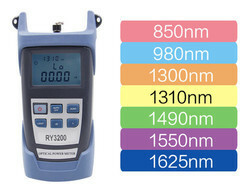 We are offering JDSU Ethernet Tester to our clients. Radio Frequency Monitoring System (RFMS) is a state-of-the-art measuring system manufactured and developed by Wave control an engineering company working in the field of electromagnetic compatibility and RF & Microwave testing. 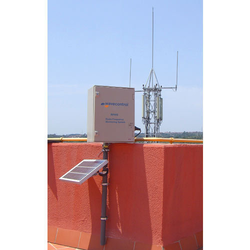 The RFMS can be installed as a single monitoring station, or multiple RFMS units can be configured to provide, for example, a city wide monitoring system. All Monitoring Stations carry out continuous electromagnetic field measurements (24/365) providing averages of the obtained values as specified in international standard requirements. All measurement data obtained is sent to the Control Center for processing. The user may communicate with the Monitoring Stations from the Control Center to check the Electromagnetic. Unlimited number o f Remote Stat ions. Electromagneti c Field Level measurement from any stat ion. The RFMS is an ideal system for those responsible for base station reliability and performance.Continuous verification that the electromagnetic radiation produced by the base station is below recommended international limits maintains public confidence. The RFMS is also ideal for those responsible for ensuring either employees or members of the public are not subjected to unsafe levels of electromagnetic radiation. Locations such as public buildings, hospitals and schools can benefit from knowing the output from sources close to their facilities. 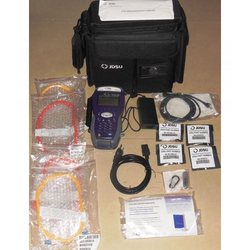 This cable fault locator is designed for ease of use, portable, light weight and easy for carry. 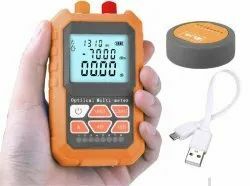 It takes the time domain reflectometer (TDR) for measuring the exact fault location such as the broken line, cross faults, earthing, poor insulation and poor contact of the lead covered cables as well as plastic cables. As you set proper wave velocity, just press Auto key, you will get the test result within 2 seconds. It is an effective tool to reduce troubleshooting time, improve work efficiency and reduce labor intensity of line maintenance staff. 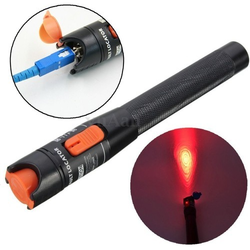 It also can be used in line projects acceptance and inspection of electrical cables. 8) USB storage (optional): transmit wave form to U disk, and analyze the wave form on computer. 2) Re-chargeable battery and charger/adapter. 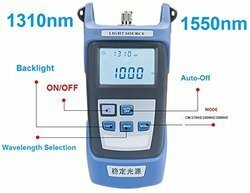 User self calibration function, Comfortable LCD display and optional backlight LCD display supports night operation, Power measurements in dBm or mw and insertion loss in dB. 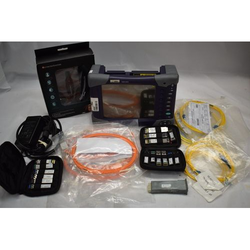 Looking for Telecom Test Equipment ?